During the second annual  Black Maternal Health Week, media outlets at the state and national level ought to take notice of the growing racial health disparity in the United States that has gone under-reported for far too long. According to an investigation  by USA Today, America is the “most dangerous place to give birth in the developed world.” Even worse, as an April 2018 fact sheet  from National Partnership for Women & Families noted, “black women are three to four times more likely to experience a pregnancy-related death” compared to their white counterparts, regardless of education or wealth. Although media have occasionally highlighted this issue in the context of celebrities’ birth experiences, Black maternal mortality is a serious issue deserving of broader coverage year-round. Although the severity of America’s Black maternal health crisis is deserving of far broader coverage, the topic often only breaks through in the context  of celebrity birth experiences. For example, in 2018 two high-profile stories involving Serena Williams and Beyoncé exemplified the dire circumstances of the Black maternal health crisis, underscoring that even prominent  and traditionally successful Black women are not immune from its impacts. Although celebrity experiences more consistently generate media coverage, there have been instances in which stories about Black women’s birthing experiences or stories surrounding the status of Black maternal health break through. In March 2019, USA Today published  an investigation of maternal deaths at Touro Infirmary in New Orleans -- a facility which was branded as one of the most dangerous hospitals for Black women in the area to experience labor. According to USA Today, Touro Infirmary was one of 120 hospitals across the country where mothers suffered severe childbirth complications or death at far higher rates than other U.S. hospitals. In response to the piece, the hospital blamed its area’s “medically vulnerable” population, citing, “Lifestyle diseases, the high cost of healthcare, delaying or non-compliance with medical treatment, limited care coordination, poor health, high rates of poverty and high rates of morbidity are all realities of our State and community.” As USA Today noted, this was a particularly troubling response given that “a majority of women who deliver at Touro are black.” Beyond highlighting dire health conditions -- which are unfortunately representative of many Black women’s childbirth experiences -- USA Today’s report also exemplifies the importance of listening to Black women and allowing them the space to share their personal maternal health experiences. In a 2018 congressional hearing  on maternal mortality, Charles Johnson testified  about his wife Kira -- who he said, “just wasn’t in good health, she was in exceptional health” -- and her death due to complications that were ignored after childbirth. Kira Johnson gave birth to their son Langston at Cedars-Sinai Medical Center, a hospital well-known for its superior medical care. But her reports of pain in her abdomen post-cesarean delivery were ignored, as were her husband’s repeated requests for a CT scan to assess the problem. Hospital staff reportedly told Johnson that his “wife just isn’t a priority right now” and instead waited “more than 10 hours” after delivery before they finally examined her and found “three and a half liters of blood in her abdomen.” She was ultimately unable to recover from so much internal bleeding. Although tragic, Kira Johnson’s story received local  and national  attention , highlighting the importance of giving narratives like Johnson’s a platform to bring visibility to those impacted by the Black maternal mortality crisis. According to reporting  from Austin, TX, television station KXAN, “Black women in Texas are at the greatest risk” of dying as a result of childbirth or related complications, “an alarming rate … on par with developing countries.” The station shared the experience of Cheryl Perkins, who watched as her daughter Cassaundra Perkins became progressively more sick after giving birth to twins via emergency caesarean. As KXAN explained, “An autopsy revealed that doctors left behind pieces of placenta after surgery, causing a deadly infection.” Both state  and national  news outlets covered Perkins’ case to demonstrate Texas’ Black maternal mortality crisis. After becoming aware of Perkins’ death, Democratic Texas state Rep. Shawn Thierry announced  that she would introduce legislation to direct attention to the state’s disparate rates of Black maternal mortality. Each of these examples from media outlets amplifies the experiences of Black women who suffer as a result of disparate maternal health care in the United States. 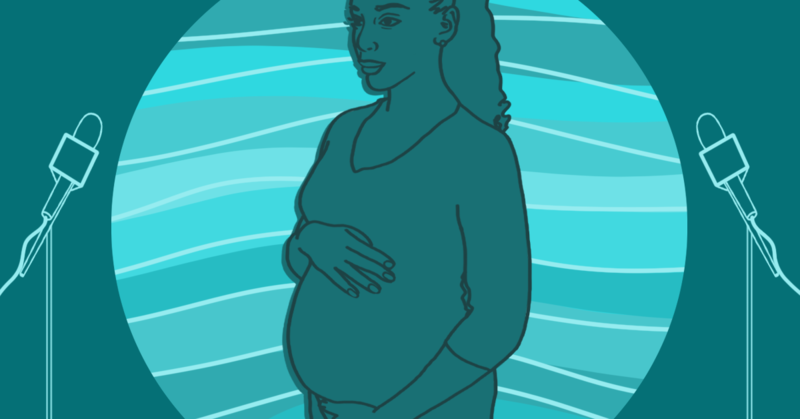 Black maternal mortality should be a story year-round, but during Black Maternal Health Week, it is especially important for media to center and highlight the lived experiences of Black women when discussing maternal mortality. With the founding  of a new Black Maternal Health Caucus in the House, media have yet another opportunity to cover this topic. Black women are at the forefront of this specific health crisis, and it would be a disservice for the media not to center their voices during Black Maternal Health Week.